Positive: Modern, energy-efficient performance; elegant design; good sound; good price. Negative: Relatively short battery life. 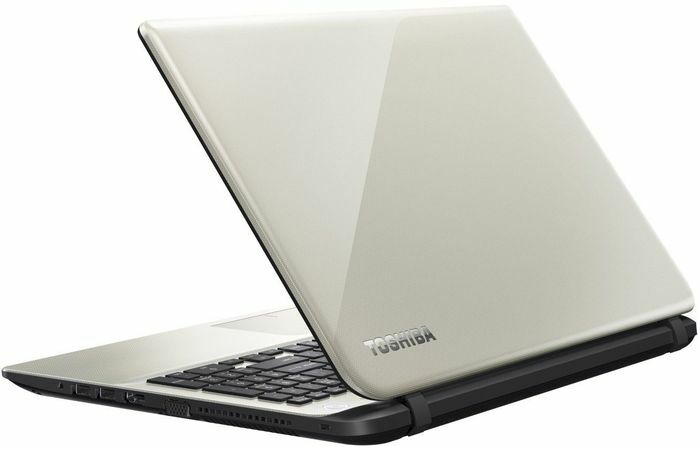 Model: The Toshiba Satellite L50-C-111 is a 15.6 inch notebook with the lid made entirely of plastic imitating brushed aluminum, but with glossy finish. 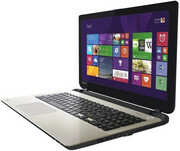 On the other side of the lid, you will find the 15.6-inch HD screen, a built-in microphone and a webcam on top. 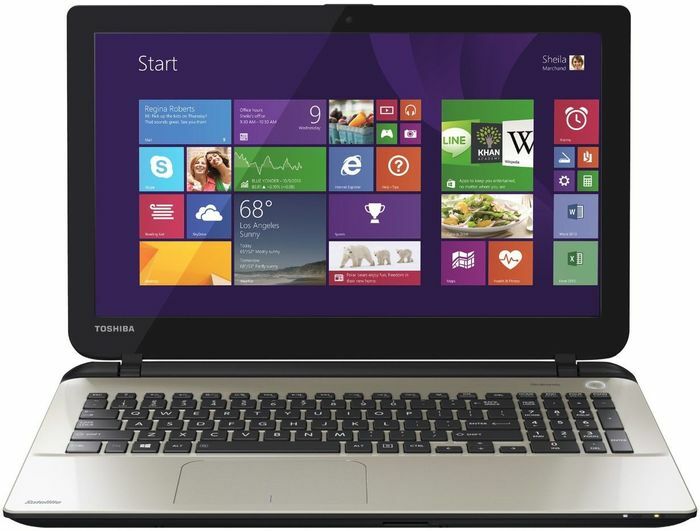 The bezels around the screen are quite thin, something which is not commonly seen in Toshiba laptops. The back of the lid bends a lot when pressure is applied, but interestingly enough, pushing it doesn’t cause ripples to appear on the screen. The HD TFT High brightness display with LED backlight offers a good contrast ratio, excellent viewing angles, and wide color gamut coverage. This model is powered by an Intel Core i5-5200U, an ULV (ultra low voltage) dual-core processor based on the Broadwell architecture, which was launched in January 2015. This CPU has sufficient power for office and multimedia purposes as well as more demanding applications and multitasking. Storage capacity for this model comes in the form of a 1 TB hard disk. This notebook has a pair of built in stereo speakers with Onkyo Sound and DTS technology, which is optimized and certified exclusively for Skullcandy. The GPU is a NVIDIA GeForce 930M which is a lower-mid-range GPU that is included in budget notebooks or multimedia-oriented ones. It was released in March 2015 and it is based on the GeForce 840M from 2014 with GM108 chip. This model also comes with a DVD-RW, an SD card slot, a USB 2.0 port, two USB 3.0 ports, Bluetooth 4.0, and WiFi.